On December 10, police and firefighters were alerted about a house fire in the 100 block of Crawford Avenue shortly before 3 a.m.. The owner of the home told first responders that she was sleeping on her couch in the living room when she suddenly awakened to thick smoke and crackling of flames. While the woman was being questioned, one of her neighbors approached the police officers and told them that someone had set fire to his back porch only a week before. Fire investigators determined that both fires were started intentionally, and police opened an investigation. While checking security camera footage from several homes in the neighborhood, investigators saw a man running in an alley behind the street where both fires had been set, after seeing the police cars approaching the site of the December 10 fire. Interestingly, the man waited for the cruisers to pass by and then walked into Munhall’s No. 4 fire station. Another video showed the same man leaving and then re-entering a house in the 100 block of Lawrence Street, which was later determined to be Ryan Laubham’s home. Court documents show that when he was first approached by police, the suspect said that he was at home on the night of the second fire, playing video games. After being informed about the security camera footage, the 19-year-old changed his story, saying that he had left his home to visit his girlfriend. As investigators pressed on with their questions, the young volunteer firefighter finally admitted to starting both fires, using gasoline for the December 10 arson, and paper towels for the one he had started a week before. He was charged with five arson related charges, two counts of causing or risking a catastrophe and two counts of criminal mischief, and was sent to county jail after failing to cover the $200,000 bond. On January 2nd, Ryan Laubham waived his preliminary hearing, so his case will be going to trial. Talking to reporters, his lawyer said he was scared and nervous about the charges. “He’s scared. He’s a young man who has a bright promising future. He’s nervous,” said Casey White, Laubham’s lawyer. As crazy as firefighters setting fires sounds, this is actually a relatively frequent occurrence. 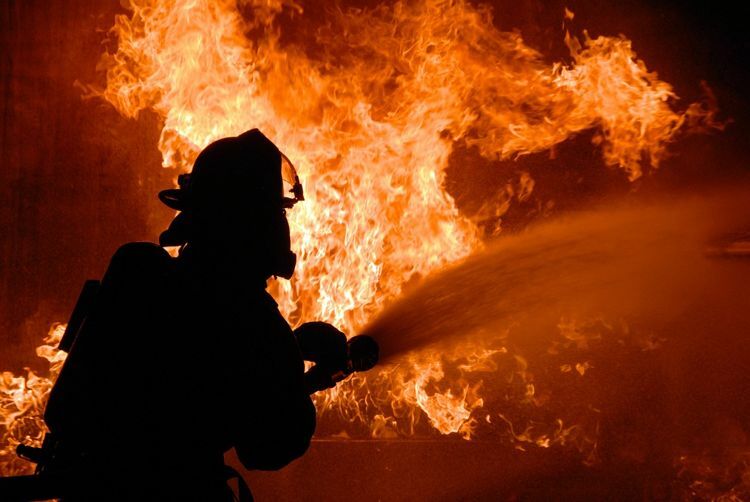 It even has a name, “firefighter arson“, and according to the National Volunteer Fire Council, there are around 100 cases of firefighter arson arrests every year, in the US. Boredom, along with the prospect of getting attention for responding to the fires they have set are the two main motives cited by offenders. Firefighter arson is not just an American problem. Last year, three firefighters in Germany were accused of being involved in over 30 arson attacks and causing almost $3 million in damages. Apparently, their excuse was the sheer enjoyment of putting out fire.